Truth by Kbaig: World is About to Conquer Galaxies but India has not Changed her Clumsy Propaganda Tactics!!! 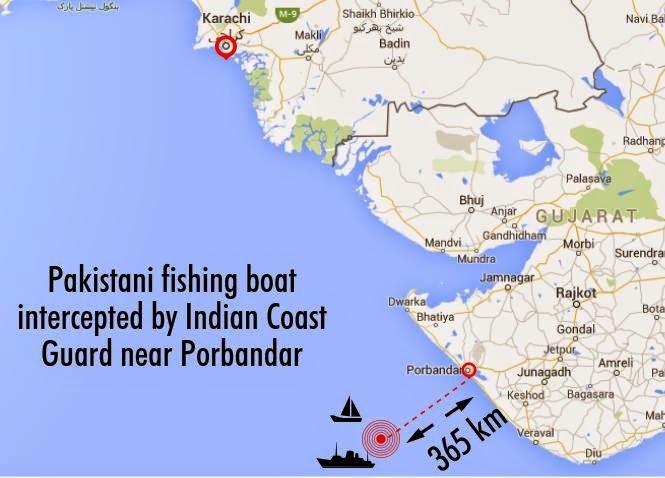 31st December 2014, a wave of propaganda dominated the whole Indian media; news report was broke that a suspicious motor-boat from Pakistani high seas is coming towards Porbandar coast of Gujarat. Indian news channels broke the news by the Indian Defense Ministry that Indian Secret Agencies that (they would send a speed boat lols) terrorists of Lashkar-e-Tayba (LeT) armed with automatic weapons have been sent from Karachi for Indian Gujarat and same boat has been found by Indian Coastal Guards and it is hoped that Indian Navy would soon capture these Pakistani terrorists. Indian channels stopped their routine telecasts and started telecasting talk-shows discussing likely targets of the Pakistani terrorists. This live Indian drama that started at about 1 am night continued till the dawn. During this drama Indian anchors neither show any respect for the professional ethics nor left any stone unturned to place allegations against Pakistan. The clips from Indian drama of Mumbai attacks were also telecasted in which Indian media claimed that they were correct in blaming LeT for attacks. While discussing the terrorist boat on the night 31 Dec – 01 January, Indian National TV Channel mentioned Indian terrorism in which Samjhota Express was burnt by Hindu Terrorists in 2007 and alleged that said train was targeted by LeT as well. On such an open lie, newscaster of Indian TV “Shobha Paravan” wanted to correct her co-newscaster Manoj Sharma that Swami of an Hindu terrorist party was arrested for the Samjhota Express tragedy; but Sharma said that Swami was released due to insufficient evidence while according to US investigation report LeT was allegedly involved in this incident that is why LeT was declared as a terrorist group. The drop scene of live Indian drama was that in the morning, terrorists blew up their boat. The new year started with the propaganda against Pakistan that 4 terrorists armed with light automatic weapons attacked Indian coast but as the Indian Secret Agency had already told Indian Navy that a boat of Pakistani fishermen will target some important installment of Indian Navy due to such warning Indian Navy and Coastal guard was on the alert. 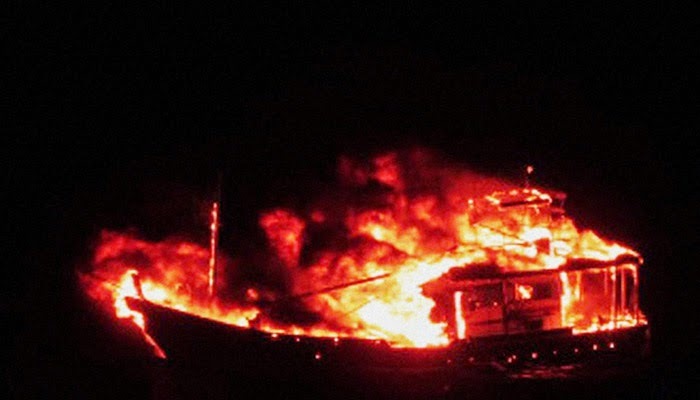 When Indian Navy chased terrorists boat, after one hour play of the shooting terrorists blew up their boat but due to the bad weather and heavy winds no one was saved. Indian Defense Minister commented on flopped Indian drama that this was just another episode of the Mumbai attacks. 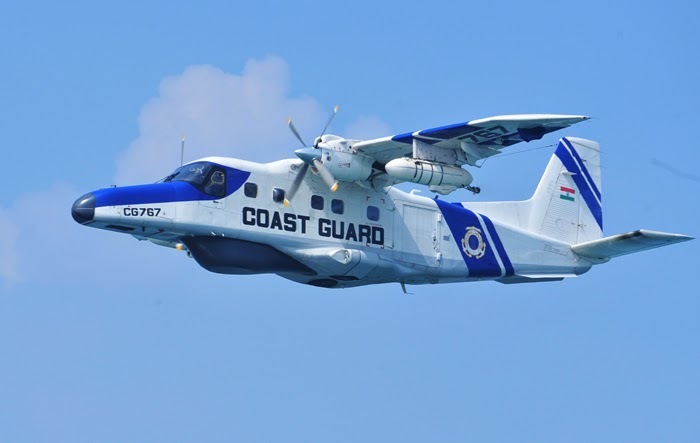 Ajay Kumar Panday, spokesperson for Indian Coastal Guards, presented packed juice and milk that was recovered over the point where the boat blew up. Indian Defense Minister appreciated Indian Coastal Guards, Navy men and Naval pilots for driving the boat away before blasting it. World might have accepted Indian drama to be true like the Mumbai drama or the murder of 36 innocent Sikhs in the hands of Indian State Terrorists in Indian Held Kashmir before the visit of Clinton to India in March 2000; but Sikhs all over the world unveiled the heinous role of Indian army and RAW and rejected Indian propaganda that Pak Army, ISI and LeT was behind the murder of innocent Sikhs (perhaps ISI had hacked the brains of the Hindu Soldiers). Due to resistance from Sikh and rejection of Indian Propaganda by Sikh Community, Clinton had to keep his mouth shut against Pakistan. Same like situation was faced by Modi drama over flopped drama of Pakistani terrorists attack over India. On the basis of political differences between BJP and Congress, Congress exploited the chance to pay back BJP and an ex Naval Commodore currently attached with Indian Congress rejected the whole story of flopped drama and said that Indian Coastal Guard having 4 Cruising Boats of 2800 HP (horse power) should be ashamed that it was not able to take over a boat of 30 HP in one hour? While the helicopters were in the air hovering over the Villains of the new Bollywood thriller wrote by RAW and directed by Indian Naval Intelligence. 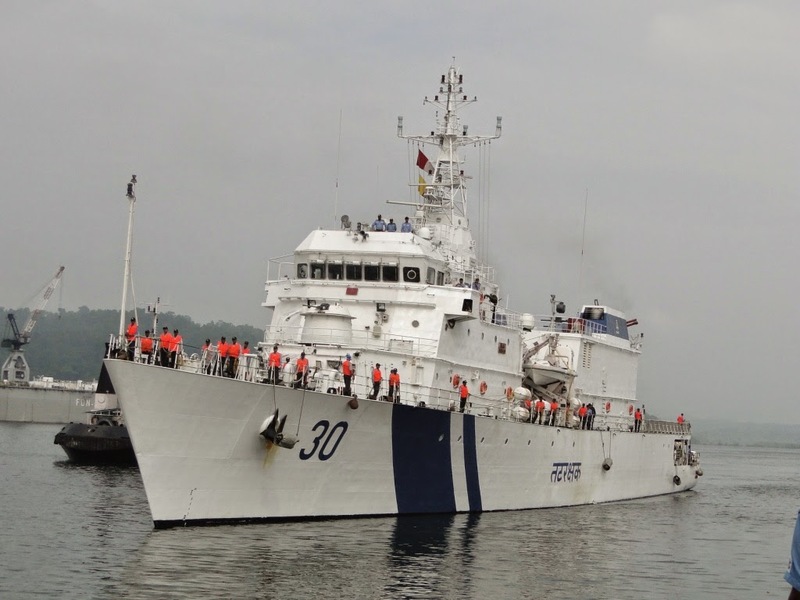 (Indian Navy which cannot take over a simple boat used by fishermen then how can it face enemy’s Naval power? A personal advise by me if Indian Navy was unable to intercept the Pakistani boat by Cruising boats then why it did not utilize its Sub-Marines and Destroyers or Indians were hiding them as they might had been the target of Pakistani terrorists). It is unbeilievable that fishermen not only made their way in the high sea during bad weather but also made Hindus to run behind them for an hour while they were on such a boat that would have been toppled with a single wave. The attack by Congress party created a difficult situation for Modi government and Indian media was called for help. So Indian Express presented another version of the flopped RAW drama that the boat was of the smugglers of Wine and Diesel who set their boat on fire when they saw brave Hindu Navy chasing them. Along with the fabricated story, newspaper also supported statement of the member of Congress party that the engine of the alleged boat was no match to the Indian war boats. Moreover, newspaper also wrote that according to the Indian fishermen they neither saw Indian Coastal Guards chase any boat nor any flames or blast on that night. The report by newspaper forced Indian Defense Minsitry to give clarifications that warning over Terrorist boat was issued due to the interception of a phone call by Indian National Technical Research Institution in which it was revealed that Indian Coast would be target of terrorists coming from Karachi. Indian Defense Ministry kept stuck to the story that terrorists flew away and blasted themselves when they were chased by Indian Navy.